Burell Built Exteriors is glad to provide certified roof repair and replacement in Hancock County, TN. Our experienced contractors service both homes and commercial properties, including hotels, restaurants, and more. Call us anytime at (865) 385-6926 for your local roofing company in Hancock County, TN. From residential roofs to industrial roof systems, our contractors can install any roof. With many years of experience in the industry, we specialize in many of the problems local building-owners face, from ponding water to mold in the attic. When you have an urgent leak or water damage, call us right away at (865) 385-6926 for emergency repair. 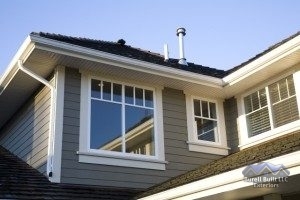 We also repair other parts of your roof system and house exterior, including doors, windows, and more. When you want premier service, look no further than our roofing company in Hancock County, TN.